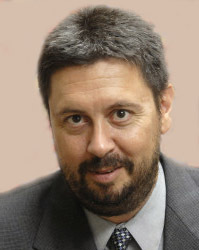 Roger Jarjoura is a principal researcher at AIR. Previously he spent 19 years as a faculty member in the Indiana University School of Public and Environmental Affairs, where he served as a fellow on Community Engagement. He was recognized as a “Translating Research Into Practice” scholar and served as a research partner to the Marion County Reentry Coalition, and provided training and mentoring to other faculty interested in developing research partnerships with community-based organizations and programs. Dr. Jarjoura has served as an investigator on several evaluation studies, including an OJJDP-funded, national process and outcome evaluation of a Boys and Girls Clubs of America (BGCA) Targeted Re-Entry program in four sites. He has recently been the principal investigator on two randomized-control studies. One study examined the effect of a prison-based restorative justice initiative on prisoner reentry outcomes for adult offenders. The other study examined the impact of a specialized women’s assistance program for drug court participants on recidivism and drug use outcomes. Dr. Jarjoura has over 16 years of experience in developing and evaluating mentoring programs. He designed and evaluated a randomized-control study that examined the impact of mentoring as a component of a juvenile reentry initiative. When results of that evaluation demonstrated that mentoring was a critical component for effective reentry, Dr. Jarjoura served as the director of an Indiana statewide expansion of the model and continued to examine ways to integrate mentoring within more comprehensive community-based initiatives. He then provided oversight to the development of replication programs in three other states, and has worked extensively to provide training and technical assistance to groups in other states in the development and management of effective mentoring programs. He recently was the co-chair of the National Cadre of Mentoring Researchers, which sought to translate research on youth mentoring into practice for programs serving system-involved youth.